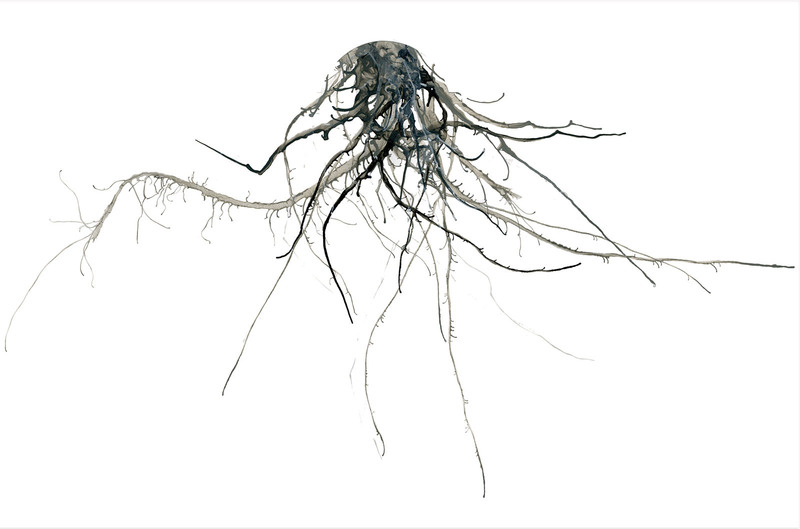 The Underground artworks take us beneath the surface to explore the root systems of plants. Air-blown ink drawings reveal fluid forms that create connections and construct pathways—searching their way, guided by inspiration and chance. When the soil in which we grow becomes transparent, we see that these natural systems are not so much an anchoring, hierarchical phenomenon as a spreading, rhizomatic, environmental exploration that follows every possibility. Plants, in fact, can move through time and space. “Underground #26,” 2009, ink on paper, 23in. x 35in. 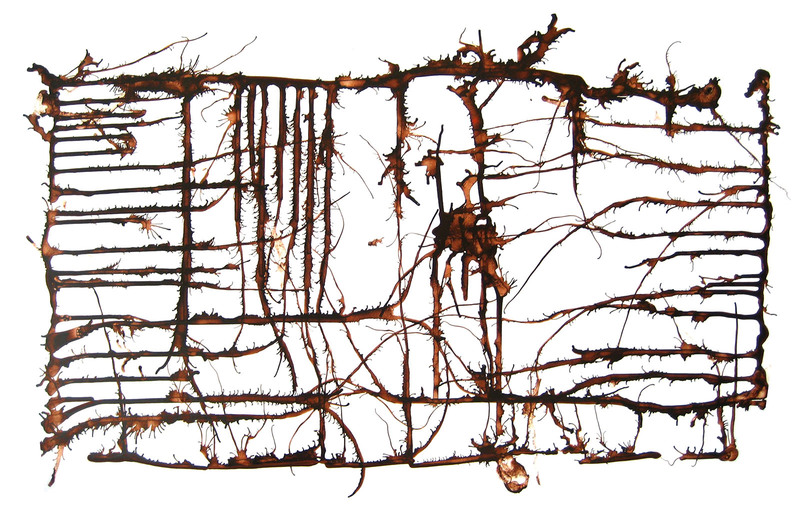 “Underground (grid),” 2009, ink on paper, 23in x 35in. 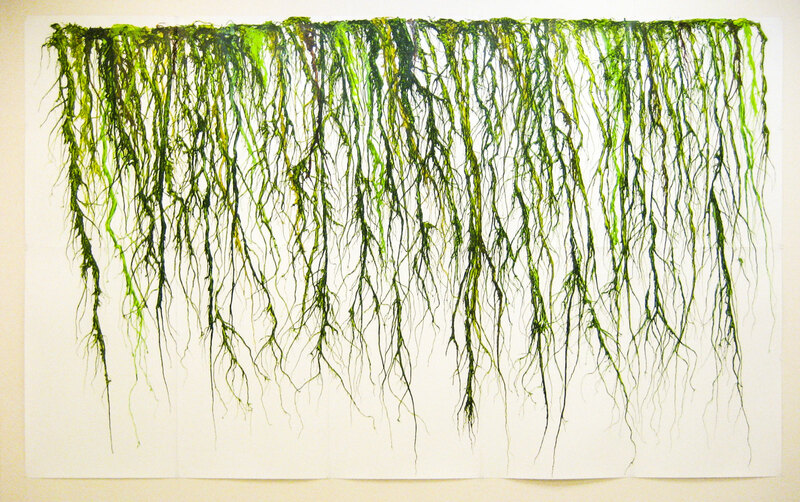 “Searching, Growing #7,” 2009, ink on paper, 70in x 115in.